General Joseph F. Dunford Jr.
My name is Matt Winick from Ann Arbor, Michigan with a strong interest in learning history, social justice, and public policy. In these subjects, I like to learn the need to make Civil Rights stronger to reduce discrimination, have military reform to help people who serve in the military get the care they need, and many others. 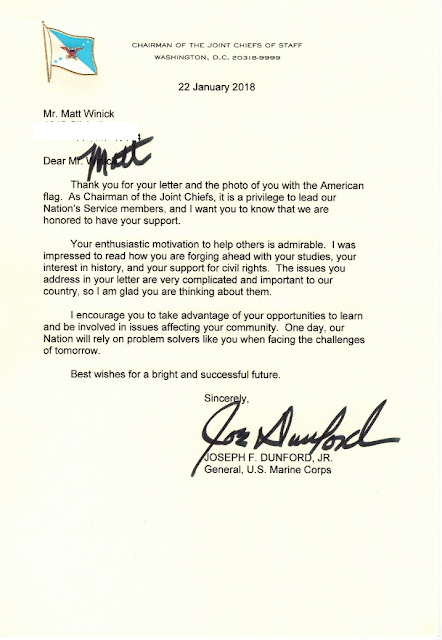 General Dunford Jr., the main reason I’m writing you a letter is to explain how I find your role as Chairman of the Joint Chief of Staff to be very inspiring to me and wish you a Happy Birthday for December 8th. In May 2015, I liked on how you accepted President Obama to serve as Chairman of the Joint Chief of Staffs to help him improve the military. On Civil Rights, I really like on how you are an advocate for people with disabilities’ rights and support hiring women including minorities to work in the military. Working with other departments in the Department of Defense and the military to reform the military like improve military equipment like body armor including helmet to help protect troops when they get into battle, expand programs to help reduce sexual assaults in the military, and use technology to help make intelligence better for military officials to use in order to create a strategy on ho to deal with a situation is common sense. Another thing that I liked about your work as current Joint Chief of Staff is how you express the need to help veterans including troops get the care they need like have medical care to help them get help on dealing with PTSD or other medical needs, expand on job careers to hire troops along with veterans to work help them be part of the community, and advocate a strong need to improve the GI Bill to help assist them to get an education from a college. 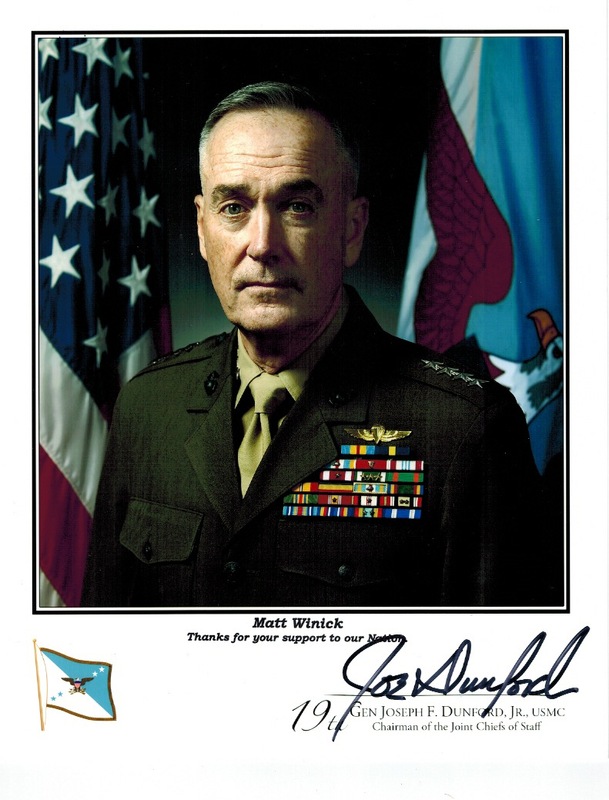 General Dunford Jr., I have autism with a learning disability. Having a disability is hard for me because I have trouble comprehending on learning different advance subjects, sometimes I struggle to communicate my thoughts, and get teased. Your commitment to be a strong supporter of Civil Rights including people with disabilities’ rights really inspires me to work hard on my disability. Your role as Chairman of the Joint Chief of Staff and your push for military reform gives me motivation to continue to learn history. My future goal is to someday work in history to help emphasize the need to make Civil Rights stronger to reduce discrimination, have environmental protection to reduce pollution, and many others. 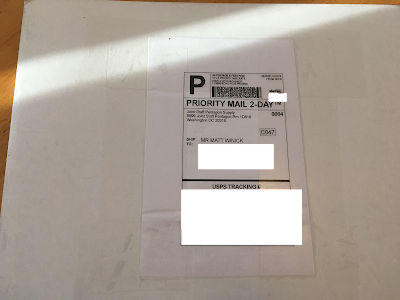 My letter is a gift to you for inspiring me and I want to wish you a Happy Birthday for December 8th. I strongly believe that you are making a great difference in your current role. I’m very proud on how you are working hard to support Civil Rights and military reform. You have inspired me to work hard on my disability and to be motivated to learn history. I was wondering if you could please share with me what it is like being Chairman of the Joint Chief of Staff and highlight some of your achievements. 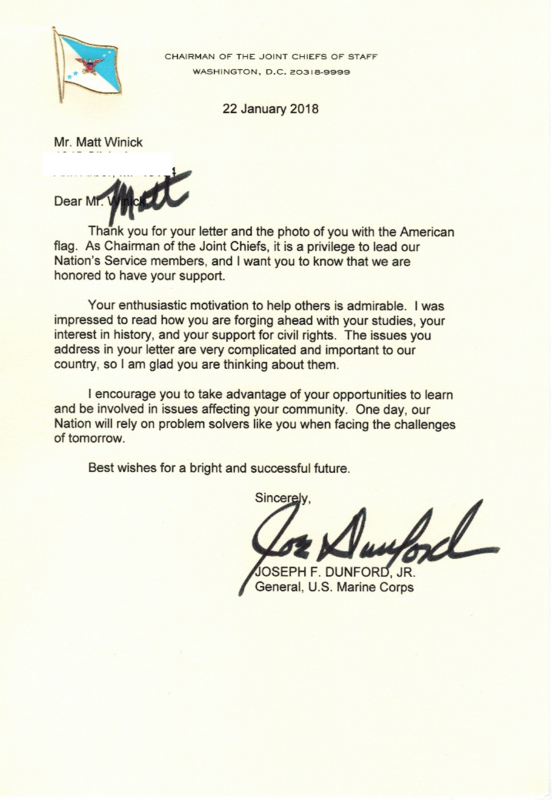 Thanks for taking the time to read my letter, making a difference in the military, and inspiring me.